Use our search facility to hunt down the best prices for campervan and motorhome holiday hire in Bristol. If there is an amazing camper van or motor home hire deal on offer in Bristol, here is where you will find it! This search service is operated by one of the world’s most experienced motorhome booking agents who book thousands of motorhome holidays each year! Bristol is a buzzing, cosmopolitan city with a long and fascinating history. It straddles the tidal area of the River Avon and sits on the borders of Somerset and Gloucestershire. Hiring a campervan in Bristol also gives you easy access to some of the UK’s most beautiful countryside and two other fascinating cities, namely Bath and Gloucester. You can even take a day trip over the Prince of Wales Bridge to the delightful city of Cardiff or the Brecon Beacons in Wales. It’s up to you. Campervan or motorhome hire through Campervanhire.com means that Bristol and the surrounding region are wide open for exploration. Hiring a campervan in Bristol gives you the flexibility to enjoy any number of activities and places to visit during your holiday. You can enjoy a cup of freshly made coffee at Bristol’s famous regenerated harbour, take in one of the many festivals in the Bristol area, motor down to Bath for a steamy visit to the Roman Baths or take in a vintage bike race at Castle Coombe racetrack. Hiring a camper van or motorhome in Bristol means that you’ve got everything you need on board with you, plus many come with TVs and DVD players for cosy evenings if it’s lashing down with rain outside. You get to decide how much you want to budget for fuel and plan your trip accordingly. With your rented motorhome in Bristol, you can plan your own schedule – and change it whenever you want. Unlike staying at a hotel, there are no rules about checking in or out, nor are you limited to the times when they serve their meals. If you want a late breakfast it’s no problem in a campervan! There’s no packing and unpacking and you can easily stay an extra day or two in a favourite spot without worrying whether or not your room is still available. 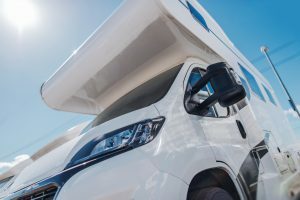 It means that on sunny days you can park up and spend the day exploring or, if the weather takes a turn for the worse, you can take a drive somewhere and enjoy some terrific views from the comfort of your campervan – so much better than being stuck in a hotel bedroom or busy hotel lounge. Use your rented campervan or motorhome in Bristol to take you on a journey through Bristol’s fascinating history. The Bristol area has been settled since the Stone Age and during the Middle Ages it developed maritime connections to Iceland and mainland Europe, expanding these to America in the 16th century. Ship building soon followed and in more recent times, Bristol was at the forefront of aircraft manufacture in the UK. Although the city has its own cold water springs, it is neighbouring Bath, with its hot springs, that has the famous Roman Baths and modern day spas. Bristol is built on several hills so get into your stride by walking in and around the city. Head to Brandon Hill Park and climb the spiral staircase of Cabot Tower to view the entire city in one go. Take your rented camper van over to The Bristol Lido – it has a lovely pool and also offers massages, facials and saunas. Whilst you’re there you can tuck into tapas with a glass of chilled wine or beer. Shop ‘til you drop at the Exchange, located in the 18th century exchange building. The adjoining Glass Arcade is home to food stalls offering tasty treats from around the world, from tagines to jerk pork and falafels to traditional British pies, packed with succulent fillings and lots of gravy. The stretch between Gloucester Road and Stokes Croft is said to have the largest strip of independent retailers in Europe so you’re bound to find the perfect souvenirs or gifts to take home as presents. Hiring a campervan in Bristol means that you can also explore some of Bristol most historic sites. They are all over the city so you can park in a convenient spot and wander to your heart’s content. Check out the impressive Bristol Cathedral, the quirky but beautiful St Mary’s Redcliffe and St Paul’s Church – known as the ‘wedding cake church’, due to it’s stacking tower. The city has been used for numerous TV and film locations and if you take the Haunted & Hidden Walking Tour (meet up at College Green every Friday at 8pm), you’ll learn all about these as well as seeing haunted inns and houses and hearing some spooky tales. Bristol Harbour is also known as the ‘floating harbour’ as it is managed by a series of locks, ensuring that the water levels are constant and not affected by the tides on the River Avon. Once the site of a busy trading port, it is now home to museums, art galleries, exhibitions and bars. Boat tours are available around the harbour area, and further afield to Bath. A visit to Bristol isn’t complete without a trip to the famous Clifton Suspension Bridge, regarded as Isambard Kingdom Brunel’s finest bridge. Clifton itself is a lovely leafy area of the city and is also home to the highly regarded Bristol Zoo, renowned for its conservation work. All of these places in Bristol can be reached in your rented recreational vehicle, campervan or motorhome. 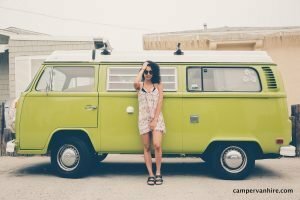 Campervan hire in Bristol doesn’t limit you in any way – there are so many places that are easily accessible around Bristol and further afield. Make your own pilgrimage to Glastonbury for a walk up the iconic Glastonbury Tor or take some private space in the tranquil Chalice Well Trust Gardens. Follow in the footsteps of ancient Britons and visit the Neolithic monuments at Stanton Drew. Marvel at the stunning Georgian architecture in the World Heritage City of Bath, taking a slow meander around the streets once visited by Jane Austen. Pander to your inner Roman with a visit to the Roman Baths and book a session at the Bath Spa. Experience the ancient atmosphere in Bath Abbey, then tuck into Bath Buns or Sally Lunn teacakes at some of the oldest teahouses in the UK. Walk up Solsbury Hill (as in the song by Peter Gabriel) to see the ancient Celtic hill fort, whose residents discovered that the hot springs in the valley had healing properties and dedicated them to their local deity, which, in turn gave rise to the Roman name for the city – Aqua Sulis (the waters of Sulis). A short drive up the M5 brings you to Gloucester, another ancient city, founded by the Romans in AD 97. It has its own cathedral, with soaring medieval architecture and the city was also home to one of Beatrix Potter’s most loved characters, the Taylor of Gloucester. From there you are a hop, skip and campervan drive to the lovely Cotswold Hills, with their honey coloured cottages and sleepy villages. With a campervan hired in Bristol, you can also cross the River Severn and visit Cardiff, the capital city of Wales and the home of Welsh Rugby, or plan a long walk in the breathtakingly beautiful Brecon Beacons, satisfying your hunger afterwards with tasty, freshly made Welsh Cakes. Bristol is a food lover’s paradise, packed full of restaurants, pubs and bistro, offering an eclectic mix of ethnic and local cuisine. Neighbouring Bath and the countryside around both cities has numerous places to eat and drink, many in stunning locations. The area around Bristol is also home to some of the most popular festivals in the UK. The most famous is Glastonbury Festival and what better place to take your hired campervan, to ensure you are out of the mud and rain! There’s also Harbour Festival, and the Bristol International Balloon Fiesta, one of the world’s largest hot air balloon festivals – entry to which is completely free! Booking your parking in advance is highly recommended through. There are museums galore, including Bristol Museum & Art Gallery, the previously mentioned Roman Baths and Pump House and The American Museum, also in Bath. You are surrounded by culture in this area so wherever you go, you’ll find a taste of the local heritage and that’s what makes the area so special. There’s several holidays worth of activities and attractions for families in and around Bristol and they are all so easy to reach in your rented campervan. In addition to Bristol Zoo, check out Cheddar Gorge, with its network of amazing caves, some of which have revealed skeletons dating back thousands of years to a time when our ancestors crossed the land bridge that joined us to mainland Europe. Visit the witch in Wookey Hole, the lions of Longleat or explore the award-winning SS Great Britain in Bristol Harbour. Get fishy at Bristol Aquarium or make your way to Aerospace Bristol and step aboard Concorde Alpha Foxtrot, the final Concorde to be built and the last to fly. There are plenty of outdoor activities, such as kayaking on the River Avon, horse riding and rock climbing.